It’s a hail of a problem. The last few years hailstorms have grown in intensity and frequency. 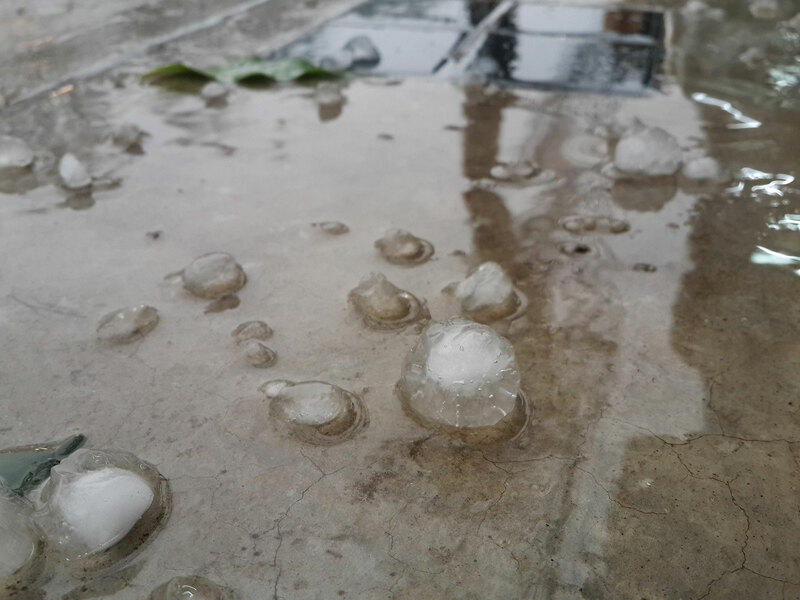 In fact, the occurrence of large hailstones—hailstones of more than two inches in diameter—have doubled since the turn of the 21st century. Some states can average 1,000 serious hail events a year. According to the National Weather Service, hail causes more than one billion dollars in annual damage in the United States alone. 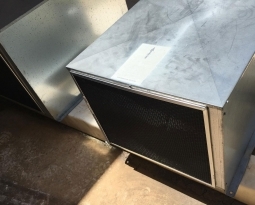 Hail can be particularly devastating to commercial HVAC equipment since these rooftop units, in order to function efficiently, must be exposed to outside air. 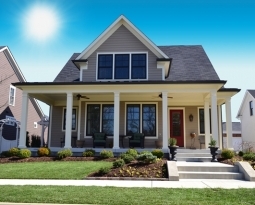 In 2017, 84% of all large loss HVAC insurance claims, defined as claims of more than $100,000, were due to hail damage. The National Weather Service says this about hailstorms: “Imagine a baseball dropped from an airplane flying at 30,000 feet … imagine that baseball reaching speeds of 120 MPH as it falls to the ground … and imagine you’re under it!” But hail doesn’t have to be huge to create significant damage to rooftop HVAC equipment. Even small pieces of hail can bend and dent the thin aluminum fins that cover the coils in these machines. Their fins are spaced close together, so when they are dented they can press against each other or against the copper coil, which can block the unit’s air flow. 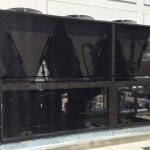 This makes the AC unit work harder: increasing its running time, producing inadequate cooling and dramatically shortening the equipment’s lifespan. 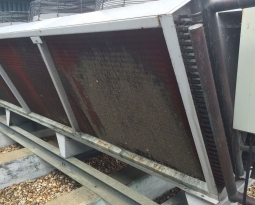 With enough damage the air flow can be blocked entirely and completely ruin a machine in only a few weeks. Even units that are positioned in a way that they are shielded by roof walls are not immune to hail. 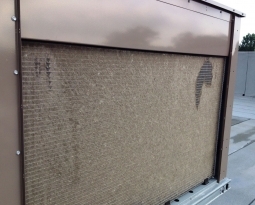 Fortunately, hail damage to an HVAC system can be prevented. Permatron’s cut-to-fit HailStop Hail Guard Netting provides a protective layer over the easily-damaged aluminum fins, without impacting the system’s efficiency. 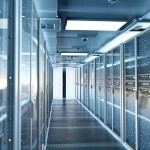 A BUILDINGS magazine “Money-Saving Product” winner, Hailstop is an easy-to-install, affordable and effective way to protect equipment from the destructive effects of hailstorms. It can be mounted across virtually any kind of equipment air intake fins, and its plastic mount clips allow easy removal for maintenance or repair. HailStop, especially when used in conjunction with our industrial air filters, are part of a money-saving, efficient and long-lasting solution to keep commercial HVAC systems operating well, and for a long time. Contact us for information about HailStop Hail Guard Netting or any of our industry-leading air filtration products.